The WWRDEC staff conducting the inventory of dead Benguet pine trees within the golf area of Camp John Hay. Baguio City’s iconic symbol – the majestic Benguet pine tree is gradually diminishing due to natural and anthropogenic causes. 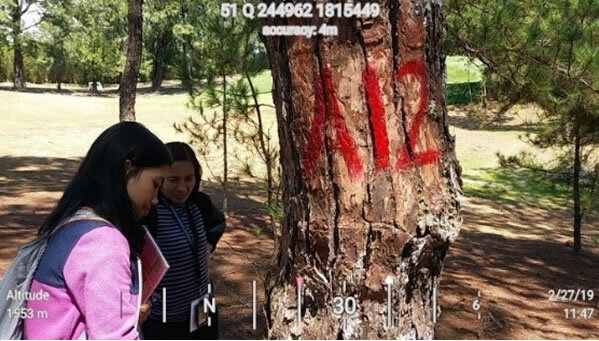 No less than DENR Secretary Roy A. Cimatu has observed of the many dead pine trees within the Camp John Hay particularly at the Golf Course area during his visit in this premier city when he attended the annual PMA Alumni Homecoming in February. In order to assess the number of dead pine trees at the CJH, Secretary Cimatu ordered the DENR-CAR to conduct inventory and determine the cause of such disease. 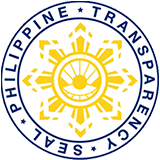 As a result of this, a Multi-Partite Team was immediately organized composed of DENR-CAR, CENRO Baguio, the City Environment and Parks Management Office(CEPMO), CJHMC wherein the Watershed and Water Resources, Development and Extension Center (WWRRDEC) was tasked to investigate the cause of death of the trees. The suspected cause of the death of the trees are bark beetles which previously infested the area. This finding is also consistent with the results of the research study conducted by Benguet State University (BSU) in partnership with the Camp John Hay Management Corporation in 2014-2016 wherein, the golf course area had the highest number of bark beetles (adult and larval stages) assessed in CJH during the period. It was found that Ips calligraphus or Dendroctonus sp. are among the bark beetle species which attacked several pine tree stands within the Camp John Hay. Signs and traces of the past bark beetle attack were observed from the dead trees that include pinholes, boring dust, tunneling and old galleries of beetle inside the bark. Left photo; Pine tree with cavity for rehabilitation Middle photo: Loose bark with tunneling is a sign of bark beetle attack. Right photo: Fallen dead tree caused by typhoon. Similarly, WWRRDEC documented the incidence of bark beetles in 2016 in several pine stands in Baguio City and some parts in CAR including Benguet and Mountain Province and in Region 2 particularly in Santa Fe, Nueva Vizcaya. In fact, an outbreak was detected in established pine stands in the same year in three (3) barangays in Tublay, Benguet where several trees have died. Currently, WWRRDEC is conducting a study of bark beetle to determine among others the correlation of bark beetle infestation with climatic condition (temperature and rainfall data). Initial findings point out that climatic data on 14-year period (2005-2017) showed a marked increase in temperatures coincides with the occurrence of bark beetle in CAR and in Region 2. The dead pine trees are recommended for sanitation cutting to clear the golf area from debris that will serve as host to other pests and diseases based on Department Administrative Order 2000-50 on the Rules and Regulations Governing Sanitation Cutting On Pest-Infested Forests. Likewise, trees with damage/defects were recommended for tree rehabilitation through tree surgery to preserve the trees. Meanwhile, the six (6) that were fallen dead were due to previous typhoon wherein the trees were uprooted were recommended for proper disposal/removal from the area.